Adds a new activity type, returns the ID, the key_string and the order number of the newly added activity type upon success. Marks an activity type as deleted. Returns all supported currencies in given account which should be used when saving monetary values with other objects. The 'code' parameter of the returning objects is the currency code according to ISO 4217 for all non-custom currencies. Adds a follower to a deal. Marks a deal as deleted. Marks multiple deals as deleted. Searches all deals by their title. Returns open and won deals, grouped by defined interval of time set in a date-type dealField (field_key) вЂ” e.g. when month is the chosen interval, and 3 months are asked starting from January 1st, 2012, deals are returned grouped into 3 groups вЂ” January, February and March вЂ” based on the value of the given field_key. Returns details of a specific deal. Note that this also returns some additional fields which are not present when asking for all deals вЂ“ such as deal age and stay in pipeline stages. Also note that custom fields appear as long hashes in the resulting data. These hashes can be mapped against the 'key' value of dealFields. Lists activities associated with a deal. Lists the followers of a deal. Lists mail messages associated with a deal. Lists participants associated with a deal. Lists products attached to a deal. Lists updates about a deal. Merges a deal with another deal. Updates the properties of a deal. Marks a field as deleted. Marks multiple fields as deleted. Returns data about a specific organization field. Returns data about a specific person field. Returns data about a specific deal field. Lets you upload a file, and associate it with a Deal, a Person, an Organization, an Activity or a Product. Creates a new empty file in the remote location (googledrive, etc) that will be linked to the item you supply. Links an existing remote file (googledrive, etc) to the item you supply. Lets you upload multiple files, and associate it with a Deal, a Person, an Organization, an Activity or a Product. Adds a new filter, returns the ID upon success. Note that in the conditions json object only one first-level condition group is supported, and it must be glued with 'AND', and only two second level condition groups are supported of which one must be glued with 'AND' and the second with 'OR'. Other combinations do not work (yet) but the syntax supports introducing them in future. Returns data about a specific filter. Note that this also returns the condition lines of the filter. Returns data about a specific goal. Returns data about specific mail message. Returns details about a specific note. Creates and returns an organization relationship. Deletes an organization relationship and returns the deleted id. Gets all of the relationships for a supplied organization id. Returns details of an organization. Note that this also returns some additional fields which are not present when asking for all organizations. Also note that custom fields appear as long hashes in the resulting data. These hashes can be mapped against the 'key' value of organizationFields. Lists activities associated with an organization. Lists files associated with an organization. Adds a new person. Note that you can supply additional custom fields along with the request that are not described here. 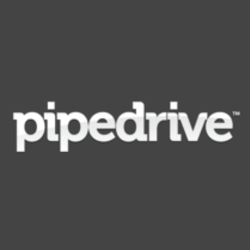 These custom fields are different for each Pipedrive account and can be recognized by long hashes as keys. To determine which custom fields exists, fetch the personFields and look for 'key' values. Add a picture to a person. If a picture is already set, the old picture will be replaced. Added image (or the cropping parameters supplied with the request) should have an equal width and height and should be at least 128 pixels. GIF, JPG and PNG are accepted. All added images will be resized to 128 and 512 pixel wide squares. Lists activities associated with a person. Lists the followers of a person. Lists products associated with a person. Merges a person with another person. Returns all stage-to-stage conversion and pipeline-to-close rates for given time period. Creates a new webhook and returns its details. Note that specifying an event which triggers the webhook combines 2 parameters - 'event_action' and 'event_object'. E.g., use '*. *' for getting notifications about all events, 'added.deal' for any newly added deals, 'deleted.persons' for any deleted persons, etc. See https://app.pipedrive.com/webhooks for more details.